Item # 315049 Stash Points: 2,795 (?) This is the number of points you get in The Zumiez Stash for purchasing this item. Stash points are redeemable for exclusive rewards only available to Zumiez Stash members. To redeem your points check out the rewards catalog on thestash.zumiez.com. 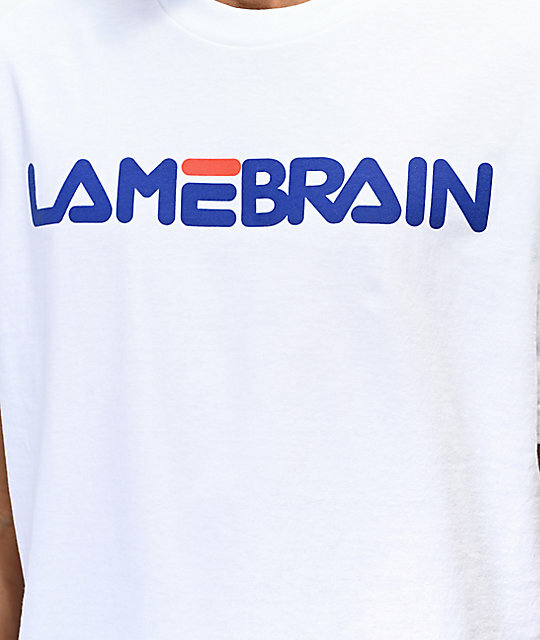 A direct exposition to contemporary fashion and trend, Lamebrain presents their sarcastic Fi-Lame White T-Shirt. Made with a classic cotton construction, this tee offers a soft fit and feel that's complete with signature logo script across the chest in a footwear brand inspired type font design. 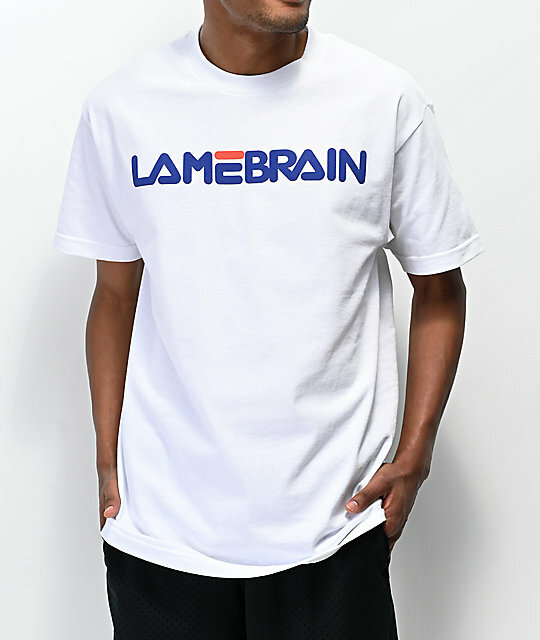 Fi-Lame White T-Shirt from Lamebrain. Screen-printed graphics on front and back.